Businesses that provide vendors with exit related services stand to gain from knowing, before other firms do, that you're in need of their services. They can then get in there first, make contact, develop you as a prospect and get a contract signed. There's a lot of money at stake here. To a business broker, one client can be worth anywhere from $50,000 to several million in revenue. Where there's big money to play for there'll be clever strategies, techniques and software helping to deliver leads and designed for these firms to reach you before their competitors do. Not all brokers play this game. Many competent brokers use less intrusive methods and still have a steady stream of business. But some are willing to use any method in their quest for early detection of "intent" and ...many have outsourced their lead generation to third parties who aren't squeamish about how they identify prospects. The last thing you want is for people - especially people not restricted by a non-disclosure agreement - to know that you're considering selling part or all of your equity. How Do So Many People You've Never Spoken With Know That You're Considering This Move? But visit a broker's site and you confirming what they previously knew with only a 99% certainty. How Then Do You Protect Against This New Danger? You don't need to "like" a broker's post in Facebook, re-tweet one of their tweets or connect with them on LinkedIn to be opening the stable doors. Any of those seemingly innocuous acts could be suggesting publicly what you're thinking privately. Even worse, the "signal" could be misconstrued as your business being in financial trouble. So, it goes without saying that such social engagement is to be avoided. But simply by visiting a broker's / intermediary's site you're confirming to this unknown third party that you - your personal name is attached here - are investigating an exit. This party may never do anything with that information, they may use it to "persuade" you to sign up for their services or they may just be lax and treat that information with such little respect that you're safer posting a big closing down banner in your shop window. If you want to avoid broadcasting a signal it's definitely worth not downloading "free reports" and "free whitepapers" from brokers' sites (though the free downloads on my site are safe, I promise). Other ways brokers confirm your intent is by getting you to take up an offer for a "free valuation" or getting you to attend a "free seminar" explaining how businesses are sold. Do and of those and you're "on the radar". Even using a fake company name and entering non-specific revenue/earning figures don't protect your confidentiality online. It's your PC, your browser, your IP, cookies, flash cookies, beacons and other indicators that'll give you away. Some good precautions are to limit the devices used to access these sites and to prefer a computer over phones and tablets. A virus-free, adware-free and spyware-free PC is a lot more private than mobile devices and if you’re using a properly configured version of TOR (discussed below) you won’t need to clear your browser cache or delete browsing history after each session. Tools that may be of assistance: Privacy plugins such as Ghostery and adblocking software are always worth installing. 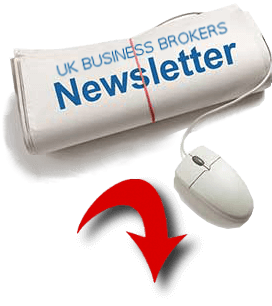 Freemail accounts (disposable email addresses) specifically for enquiries with brokers or intermediaries are useful if you really want access to those brokers' "free reports" and "free whitepapers". It's even better if you aren't using the popular Yahoo, Live (Hotmail) and Gmail account services as they all take liberties with your privacy in one way or another. But you also need to beware the browser. Internet Explorer is to be avoided. And I've no idea why anybody uses Google's Chrome - Chrome is based on Chromium, a safe and reliable "Open Source" project. Chrome is pretty much a copy of that open source browser with Google's tracking, data mining and monitoring added on. If you want to continue with the already familiar, delete Chrome and install Chromium - Comodo Dragon, for example - and properly configure it. Other good practices: Know who the biggest trackers are and avoid them. If you do use Facebook, sign out after use and delete all FB cookies (Selective Cookie Delete is a great Firefox add-on). If you do use any Google services - from search to GMail to Analytics - sign out immediately you finish your task and, again, delete all Google cookies. But Google's still tracking you! To complete avoid that you need to use Startpage.com - it gives you Google results without Google's tracking . You could investigate TOR (The Onion Router). It’s a free to download web browser and it looks and feels exactly like the Firefox it’s based on. Using TOR when browsing intermediaries’ sites is as close as you can get to bullet proof protection from the crafty, and clever, techniques used by the “Lead Generators” mentioned above. Or an alternative to TOR you could use a VPN (Virtual Private Networks). Most are very affordable today and offer a low cost way of using the internet anonymously. Do remember, though, that no TOR or VPN will protect you from your self. You still need to avoid disclosing any details that could be used to identify you or your business and you still need to avoid "logging into" websites or services. Some may argue that these precautions are extreme and far beyond what’s necessary. Possibly. But what’s the level of security you maintain for your bank account? The risk of someone accessing your account can be limited to the funds in your account whereas the damage caused by sensitive strategic plans leaking online can cost you your life’s work or make a big dent in the value you’ve spent so long building in your business. How to ensure you get top price and meet all your exit goals. 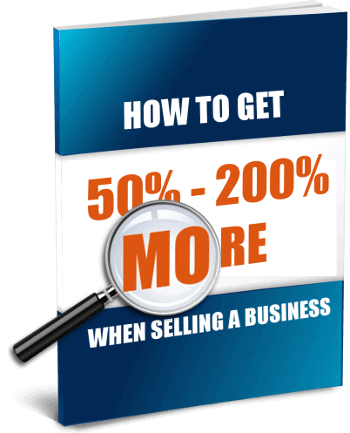 How to ensure you're in the top 20% of businesses - the ones that sell - not the 80% that fail. How to get to a quick AND safe completion.